Many of our clients are just getting by, unable to work because of a disability. Some of these clients receive Supplemental Security Income, or “SSI,” from the federal government. Each week, we field questions from clients who are worried that they will put their SSI benefits at risk if they file for bankruptcy. Read on to understand how your benefits will be affected. The federal government pays out a benefit to people who are blind, disabled, or elderly and who have limited income and resources. SSI benefits are designed to help the truly needy avoid poverty by providing additional income support above and beyond disability benefits. Although it is possible to receive SSI in addition to other benefits, many SSI recipients remain low income and are struggling with debts. If a medical accident or other disaster strikes, SSI recipients can run up debts just like any other citizen. How Are SSI Benefits Treated in Bankruptcy? Get ready for some good news: SSI benefits are completely exempt in bankruptcy. No one can garnish your wages, so the bankruptcy trustee cannot take SSI benefits and use them to pay off your creditors. Instead, you get to keep all of your SSI benefits free and clear to spend as you wish during and after the bankruptcy. Nevertheless, the trustee might be able to seize other assets and sell them in a Chapter 7 bankruptcy. Also, depending on your situation, you might have other income that will be considered disposable income in a Chapter 13 bankruptcy. 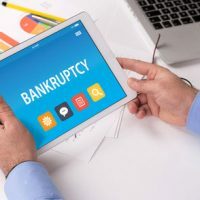 For these reasons, you still should consult with a bankruptcy attorney to fully understand how filing will affect you financially. Should You Even File for Bankruptcy? Because SSI benefits are exempt from garnishment, no creditor can seize them. This means that a credit card company or other creditor can sue you in court, but they will not be able to force you to pay a court judgment using your SSI benefits. However, in some situations, SSI recipients will still benefit from a bankruptcy. For example, you might have assets that a creditor can seize if they win a lawsuit against you. In a Chapter 13 bankruptcy, you can pay your unsecured creditors for a few years and then discharge any unpaid debt at the completion of the repayment plan. In addition, filing for bankruptcy allows an SSI recipient to end any potential harassment from creditors and move forward with their life. Because each situation is different, you should consult with an attorney as soon as possible to discuss your options. The elderly, disabled, and blind have unique needs, and you will want a bankruptcy lawyer who understands how SSI and other disability payments interact with the bankruptcy code. At Nowack & Olson, we have handled every bankruptcy case imaginable, and we are anxious to use our deep experience on your behalf. Please call us today, 866-907-2970 to schedule your free consultation, or submit our online contact form.